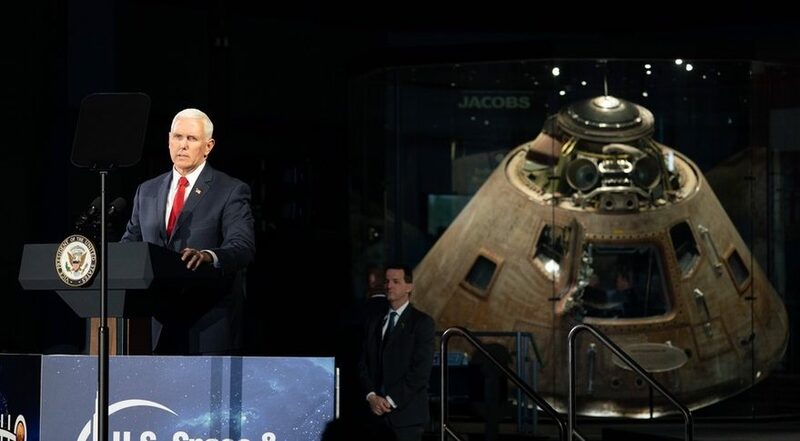 Vice President Pence's declaration of intent to land Americans on the Moon by 2024 was a welcome statement of resolve, vitally necessary to give the nation a human space flight program that is actually going somewhere. His call to put the base at the lunar South Pole is also welcome since that is where ice reserves can be found which could be used to refuel spacecraft used to explore the Moon or return to Earth. However the goal will not be achieved if NASA is allowed to continue to misdirect its efforts to build an orbiting Lunar Orbit Gateway (or Tollbooth as it is should more accurately be termed). This legacy project will cost a fortune to build, a fortune to maintain and add to the propulsion and timing requirements of any lunar mission forced use it. The uselessness of the Tollbooth can readily be seen by noting that any lunar excursion vehicle (LEV) capable of doing the 6 km/s delta-V round trip flight from the lunar base to the Tollbooth could just as easily fly one-way from the lunar base to low Earth orbit (LEO). So while the Tollbooth plan would require using an SLS or alternative heavy lift capability to deliver astronauts in an Orion to meet the LEV at the Tollbooth, without such an expensive installation we could just deliver astronauts in a Dragon launched by an inexpensive Falcon 9 to meet the LEV in LEO, along with enough propellant to send the LEV back to the Moon. By not having to use the Tollbooth, we could conduct lunar missions using a launch vehicle with less than 1/10th the cost and more than ten times the flight frequency as would be required with the Tollbooth. Such a more advantageous flight plan, known as Moon Direct, is described in detail in my recent article in New Atlantis (https://bit.ly/2FBR5Rs). The broader point here is this: NASA needs a purpose-driven human spaceflight program, not a vendor-driven program. A purpose-driven program spends money to do things. A vendor-driven program does things in order to spend money. If we are to reach the Moon, our human spaceflight program needs to act with purpose. The Vice President has made the necessary statement of purpose. Now it is time to act on it.